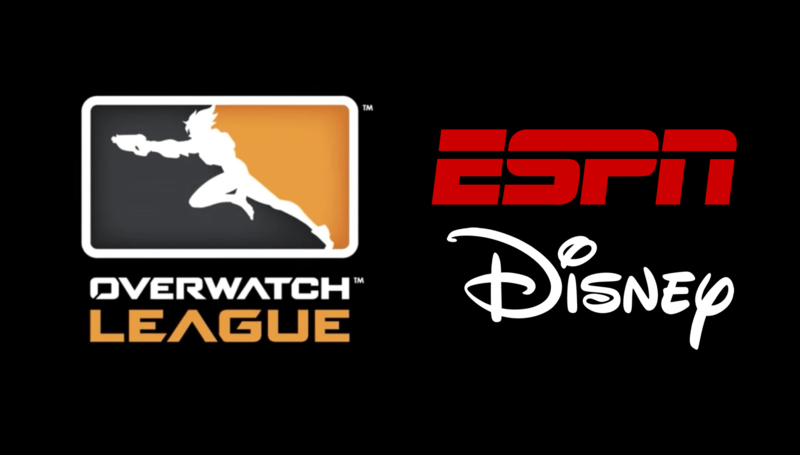 Blizzard announced on Wednesday that the Overwatch League will be airing on ESPN, ABC & Disney. The multi-year deal includes live viewing of season 1 playoffs, finals and other major parts of the Overwatch League. Season 1 grand finals from Barclays Center in New York next month is set to be the first event aired. The current agreement that the Overwatch League has with Twitch will stay in place; meaning that you can still watch on Twitch if that is what you prefer. This is a major deal for Blizzard. It will help them expand there viewership to a much wider audience, and help close the gap between traditional sports and esports. This isn’t the first time that Blizzard has closed a deal with ESPN – they previously had aired Heroes of the Dorm competition. If the Overwatch League is a success on ESPN and it’s family of networks it could lead to increase in titles being aired. Blizzard / Activision also own popular franchise Call of Duty. With viewership for Call of Duty digressing this year on Twitch, it could be a big boost to air tournaments on ESPN. Some of this information was pulle directly from ESPN.